S (Scripture): Mark 12:13 Then they sent some of the Pharisees and Herodians to trap Jesus with his own words. 14 When they came they said to him, “Teacher, we know that you are truthful and do not court anyone’s favor, because you show no partiality but teach the way of God in accordance with the truth. 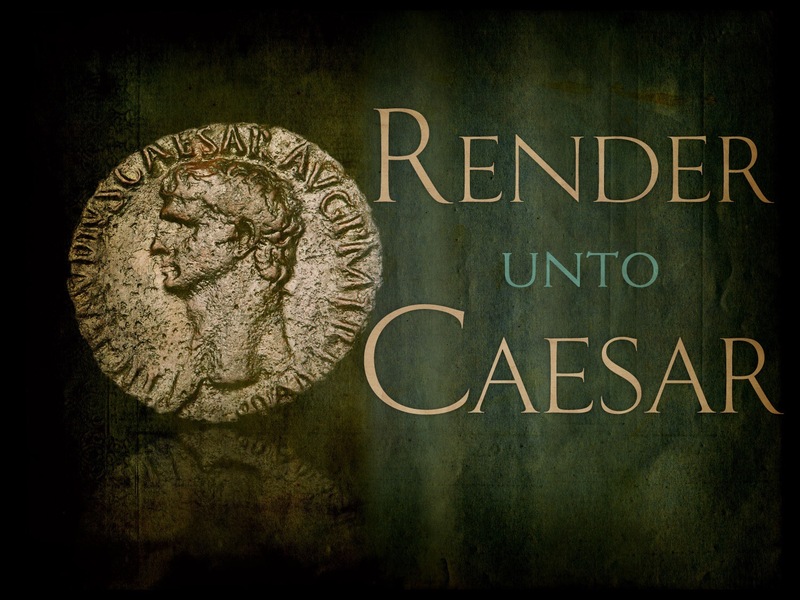 Is it right to pay taxes to Caesar or not? Should we pay or shouldn’t we?” 15 But he saw through their hypocrisy and said to them, “Why are you testing me? Bring me a denarius and let me look at it.” 16 So they brought one, and he said to them, “Whose image is this, and whose inscription?” They replied, “Caesar’s.” 17 Then Jesus said to them, “Give to Caesar the things that are Caesar’s, and to God the things that are God’s.” And they were utterly amazed at him. O (Observation): Once again, Jesus is painted into a dualistic corner: pay taxes to Caeser? yes or no, right or wrong? Jesus won’t fall for the trap. He knows the Herodian’s political savvy. They want Jesus to lose political favor with the people, so that they will turn on him. Jesus sees beyond the issue. Jesus declares that the kingdom of the world is different than the Kingdom of God. So one can find himself or herself paying taxes to Caeser, but also giving one’s whole life and money, etc., to God, AT THE SAME TIME. The issue doesn’t have to be either / or. So, the issue (taxes) wasn’t really the issue. They were trying to get Jesus to lose favor with the people. Jesus saw beyond the issue. Say there is a debate over which kind of bread to use at Communion. Is the bread the issue? Perhaps…and perhaps not. Taste and texture could be issues, sure…but is that “the issue”? Perhaps the issue really is: the change, or who has the power, or who is in control. This seems like a trivial discussion, but I think opening the door to these kinds of discussions can be helpful when it comes to deeper issues that congregations face. Some of those issues are sexual identity (especially of the pastor), female leadership, children in worship, etc. We settle the issue of Communion bread, but we also settle the question of why we have Communion bread: it is a gift from God, a means of grace… Having these discussions helps us to get to the “Why?” of the issue, which is the most important part. What issues are you dealing with? What are the issues behind the issues? May your discussions be Spirit-filled. P (Prayer): Lord, in our disagreements, may we sense your presence and seek your wisdom to bring us to honor you. Amen. This entry was posted in Digging Daily and tagged Bread, Caeser, God, Issue, Taxes. Bookmark the permalink.